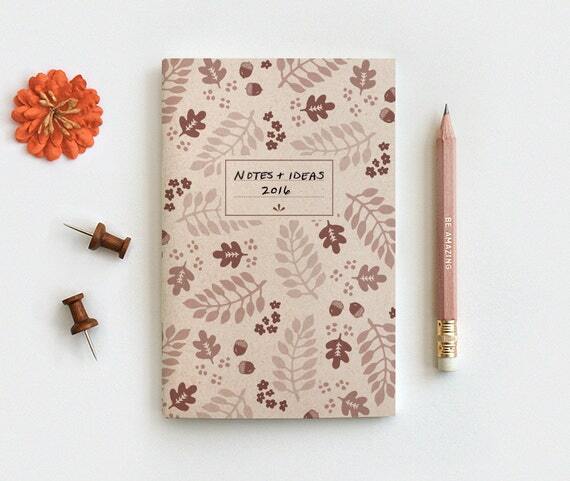 *All Journal & Pencil Sets 15% OFF through Monday. 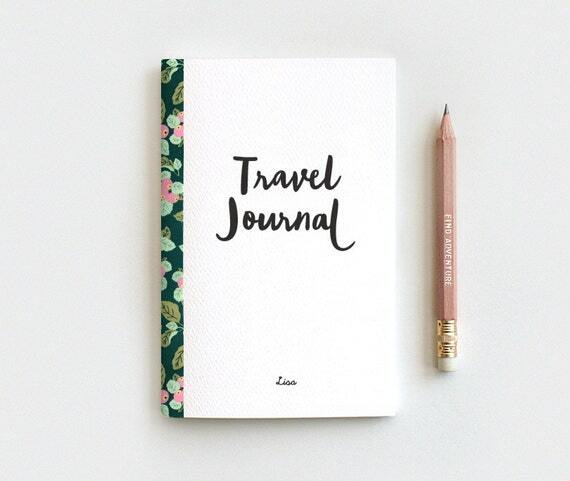 * Available in 3 sizes with 3 inside pages options, a beautiful floral handcrafted & personalized Travel Journal. Multiple floral trim options to choose from. Printed in black and personalized with the name of your choice on the bottom. 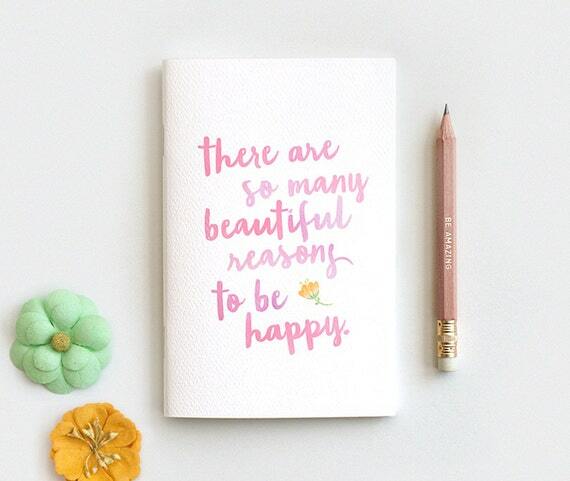 Made from 100% post consumer recycled materials, There are So Many Beautiful Reasons to be Happy Notebook & Pencil Set, printed in wonderful watercolor shades of pink and purple, with a pretty orange flower. 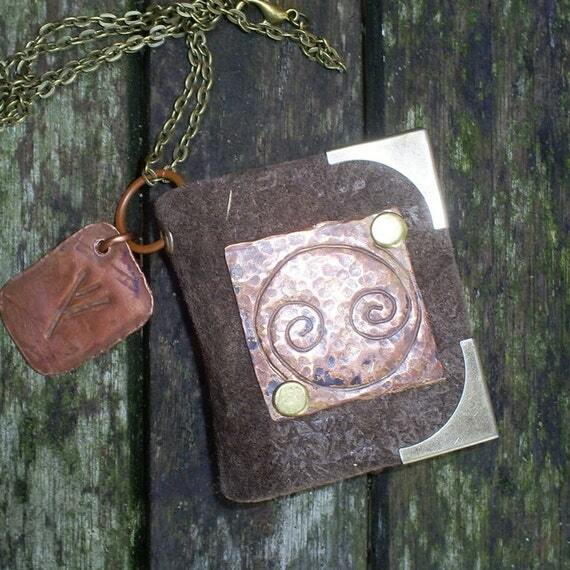 Lovely for Spring, perfect for birthdays, wedding gifts, and more. 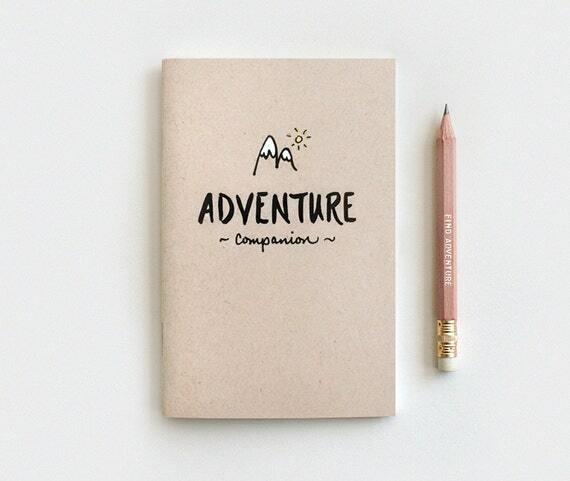 Comes with a gold foil mini pencil, notebooks are available in Mini, Large, and Midori Travelers Notebook sizes. Made with acid-free paper and hand stitched with waxed linen thread, this coptic bound notebook has the ideal size to be carried everywhere in your bag. 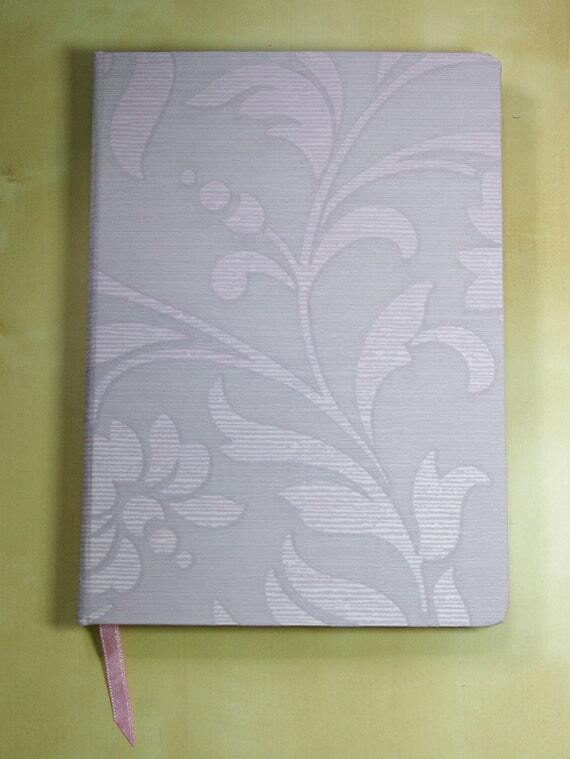 The notebook opens flat and is perfect to be used as a sketchbook by artists or aspiring artists. Oh no! They are heading to your plants! But don't worry, these snails are here only to decorate the covers of these handmade notebooks. A set of three and a pretty little tote bag in this colourful arrangement. 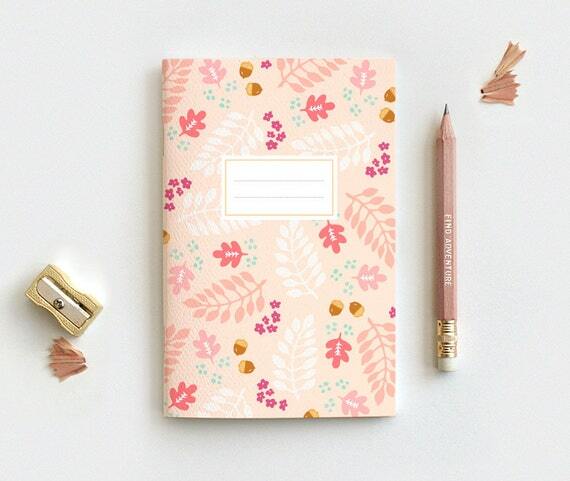 A tropical notebook that will brighten up your winter and be a companion during the whole year. 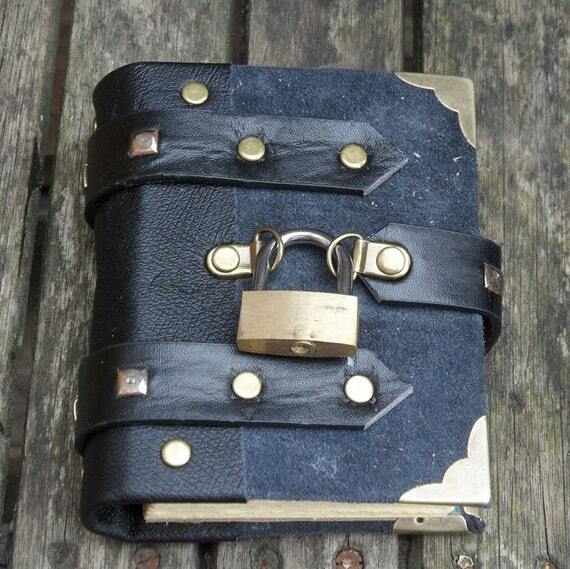 The notebook is big enough for you to write down, or sketch, all the amazing things that will happen to you in 2015. 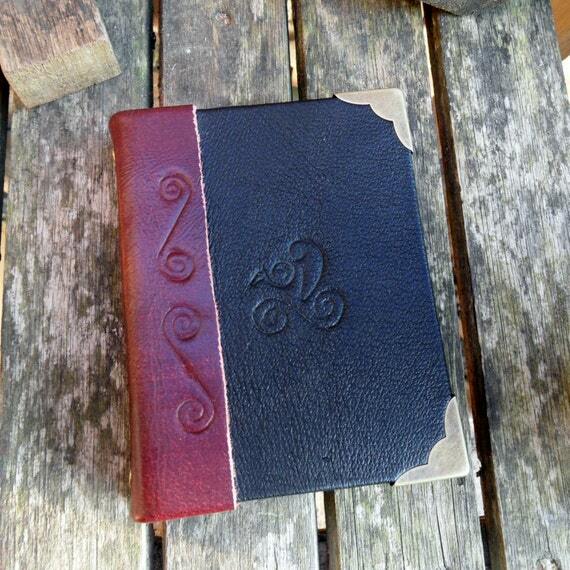 The cover is in cotton fabric and the pages inside are white. I am currently making handmade notebooks completely from scratch, including hand sewing the signatures together. Each notebook is unique with its own little quirks. They would make the perfect gift to yourself, or for anyone else. 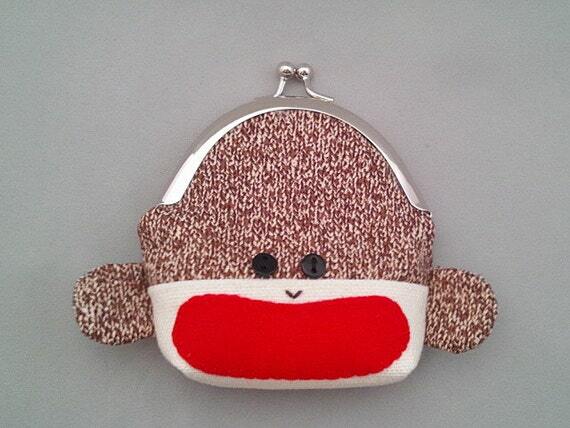 Whether your looking for serious fashion or just monkeying around, this snappy purse is for you. Just the right size for coins, candies or any number of smaller things. 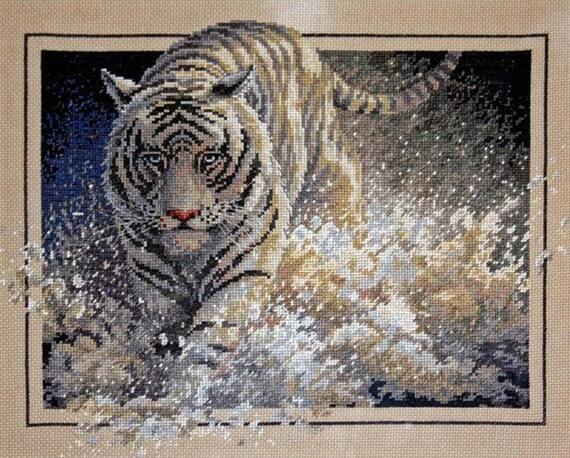 World of all kind of patterns: irish lace, knitting, crocheting, doillies, cross stitch and many, many more. High quality pdf's in different languages, most of them based on diagrams and detailed charts easy to follow. If you can "read" a chart, the language of charts additional texts are written has no significance.